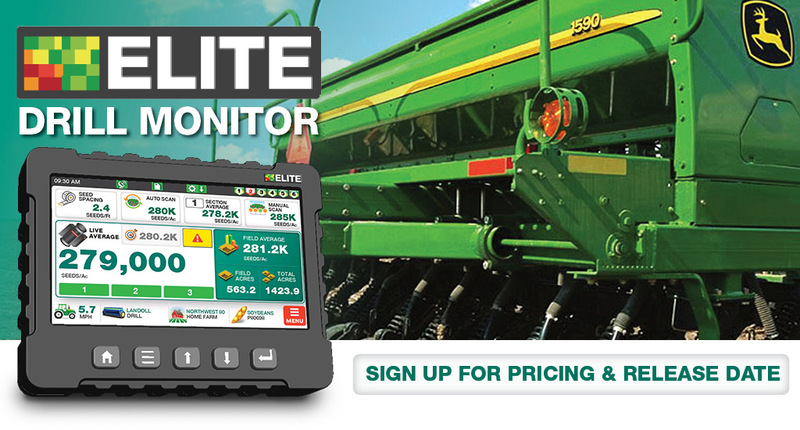 The New Loup Elite Drill Monitor provides accurate Seeds/Acre population for any drill, Air Seeder or Planter. 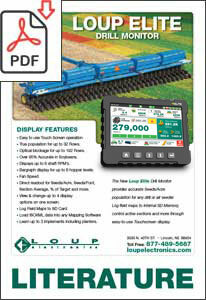 Log field maps to SD Memory, view section averages, control active sections and more through easy-to-use Touchscreen display. True population for up to 32 Rows. Learn up to 3 implements including planters. Optical blockage for up to 192 Rows. Over 95% Accurate in Soybeans. Dispays up to 6 shaft RPM’s. Bargraph display for up to 6 hopper levels. 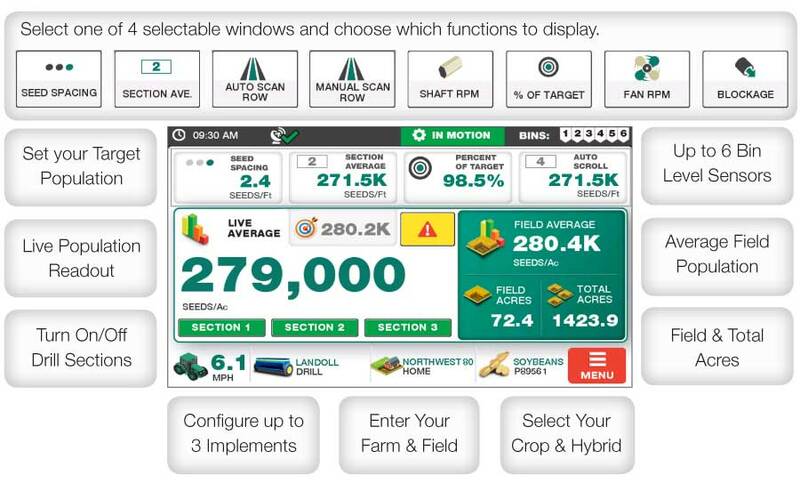 View & change up to 4 display options on one screen.